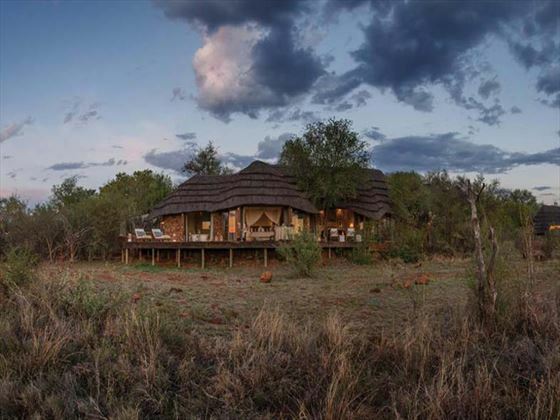 Fly into Johannesburg and take a connecting flight to Madikwe Private Game Reserve where you’ll stay for the next three nights. 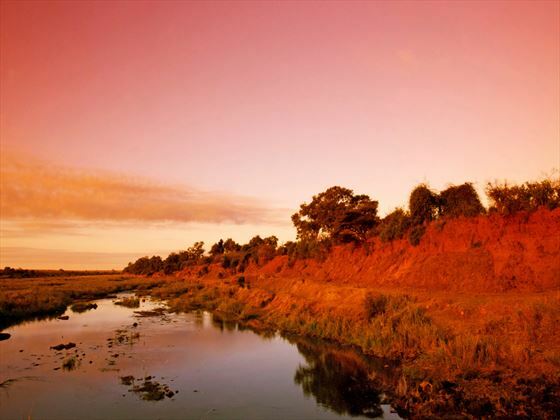 This 185,000-hecatare malaria-free reserve borders Botswana and is a haven of spectacular scenery and game. 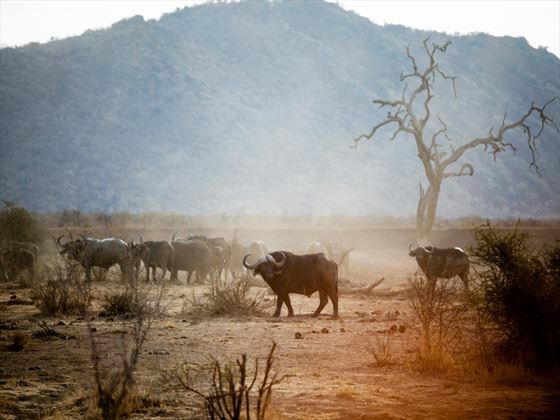 You’ll enjoy daily game drives through the plains in search of the elusive Big Five, with time to enjoy the lodge and its facilities. 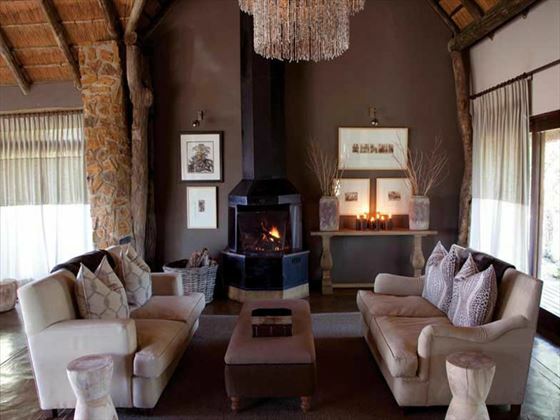 The lodge features 10 luxury glass-fronted suites with their own veranda and private plunge pools. 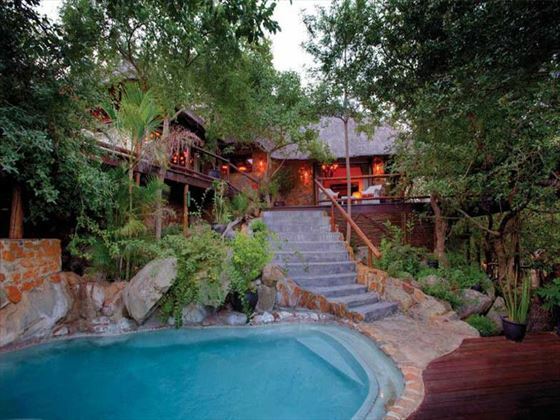 This majestic reserve features a traditional boma, a swimming pool, viewing deck and wellness centre. 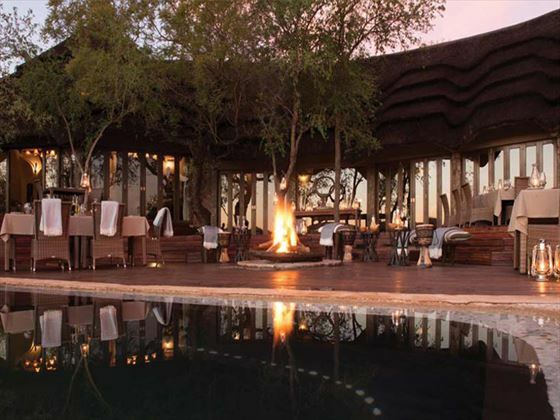 Leave the Madikwe Reserve after breakfast and fly to Sabi Sands Game Reserve (via Johannesburg). 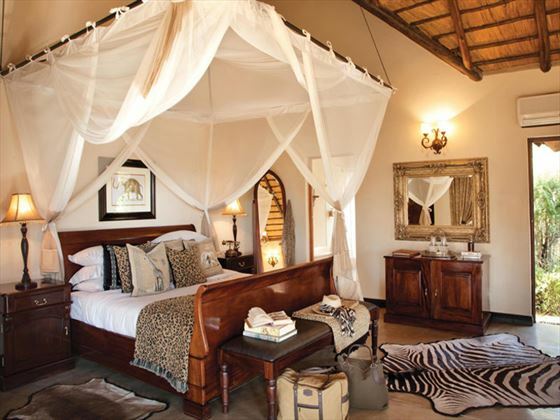 You will be transferred to Leopard Hills Private Game Lodge, where you’ll spend three nights. 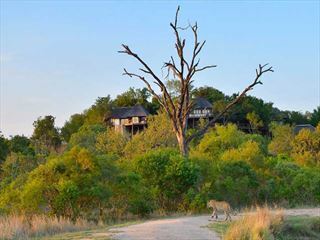 Overlooking a natural watering hole, the game viewing opportunities from this lodge are fantastic. During your time here, you’ll take part in more game drives of the Sabi Sands Game Reserve, as well as the option to enjoy pampering spa treatments before watching the sun set over the plains. There are just eight air conditioned suites, with glass fronts for better sightings of the wildlife and scenery, as well as each suite being equipped with its own veranda and private plunge pool. The food here is great and the staff are really attentive and friendly, giving a wonderful atmosphere to the lodge. En-route to Kings Camp from Leopard Hills, you’ll be transferred to Elephant Whispers where you’ll have chance to enjoy a two hour Elephant Experience. This will include interacting with these magnificent creatures, before enjoying a champagne picnic as the elephants roam around you. From here, transfer to Kings Camp in the Timbavati Private Nature Reserve. 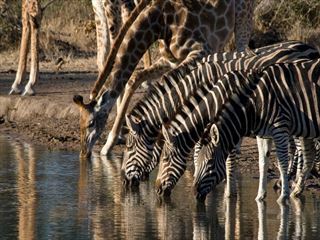 Combining luxury with authentic game drives and safari experiences, this camp gives you the best of both worlds. 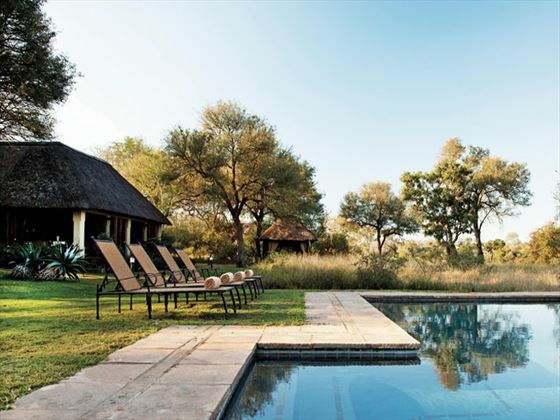 The camp has 11 thatched suites with air conditioning and awe-inspiring views of the unspoiled landscape. Facing an open savannah and retaining elements of its colonial past, this is a really unique experience. Depart from Timbavati Private Nature Reserve and transfer to Johannesburg for your departing flight. 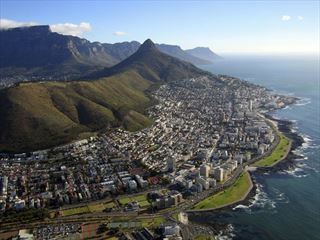 Explore some of Africa's most beautiful destinations and towns on this brilliant 18-night cruise. Starting and ending in Cape Town, you'll discover the stunning locations of Namibia, Mozambique and South Africa on your trip.